This intricate and profound exploration of Kabbalistic symbolism as applied to the human body is a classic in French esoteric circles. It is the life work of nurse anesthetist and psychotherapist Annick de Souzenelle, whose tremendous depth of thought has been partially inspired by the depth psychology of C. G. Jung. de Souzenelle incorporates the symbolism of the Hebrew language with biblical references and her understanding of Kabbalistic spirituality to present the Kabbalistic tree of life as a pattern of the human body in all its various parts and vital organs, from the bottom of the feet to the top of the head. Not only is hers an important work in the field, it also affords some flavor of the rich French esoteric tradition, which is generally not well represented in English translation. Advanced students of the Western esoteric traditions, especially Kabbalah, will want this volume for their permanent library. Annick de Souzenelle recently lectured on The Body and Its Symbolism at a London conference with Tony James as her English translator. The Body and Its Symbolism Receives Five Star Review! The Body and Its Symbolism: A Kabbalistic Approach by Annick de Souzenelle has received a five star review in the Spirituality Today blog! The Body and Its Symbolism: A Kabbalistic Approach by Annick de Souzenelle is reviewed in the new Dec 2015-Jan 2016 issue of Retailing Insight magazine. "This is one of the most important books in my life; it is a true gift to be able to read and relish Annick de Souzenelle's perspective on knowledge, and delight in her genius. Her contribution to our awakening is a true treasure." “This book is clearly the result of a lifetime's reflection. 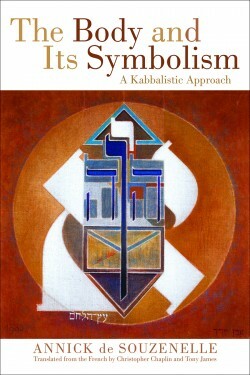 The connections between traditions brought together by the kabbalistic model reveal an inherent ladder of order from the physical body to that of the Divine Adam Kadmon.